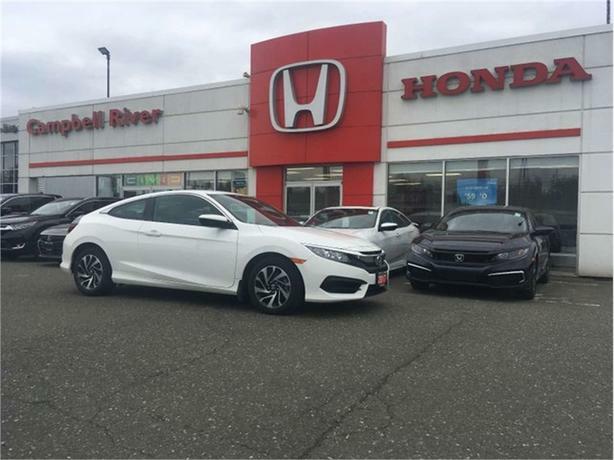 This beautiful Honda Civic has extremely low kms, heated seats, a backup camera, a responsive 6 speed manual transmission, bluetooth, apple carplay and android auto, keyless entry, power features for ease of use, maintenance minders and more! This civic is accident free, smoke free, and pet free! This sporty coupe will not last long! Come drive it today before it is gone! All of our vehicles come with a Professional Detail and a thorough BCAA certified inspection, so you can buy with confidence.